Do I need to contact my previous veterinarian if I am switching to your hospital? No, you do not need to do anything. We will contact your previous veterinarian for you. But if you have any medical records, please bring them with you, especially if you have taken your pet to see multiple veterinarians. How do I get my pet overseas or across the country if I am moving? Visit the USDA/APHIS website for all information regarding pet travel. Dr. Schexneider is a USDA Accredited Veterinarian and is authorized to write health certificates for dogs, cats, rabbits, rats, ferrets, and other pocket pets. Yes! Dr Schexneider does all kinds of soft tissue surgeries, including spays and neuters and growth removals. We also do anesthetic dental cleanings with dental x-rays. Orthopedic surgeries with a board certified surgeon are done right in our hospital! Can you tell if my pet is microchipped? Yes, we have universal microchip scanners that identify every type of microchip in just a few seconds. What are the vaccines that my dog needs in San Diego? Core vaccines, or those that are necessary for all dogs, include Distemper, Hepatitis, Parvovirus, Leptospirosis, Bordetella, and Rabies. We have Lyme, Canine Influenza, and Rattlesnake vaccines available for those dogs who have an active outdoor lifestyle. We use small volume vaccines and no-shot kennel cough vaccines that are flavored and given by mouth for the comfort of your pet. 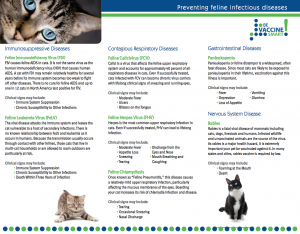 What are the vaccines that my cat needs in San Diego? Core vaccines. or those that every cat needs, include Rhinotracheitis, Calicivirus, and Panleukopenia. We also have Rabies and Feline Leukemia Virus vaccines for kittens and cats that may be exposed to outdoor threats. We use small volume vaccines that are hybrid and safe for your cats. We do this to improve your cat's health and comfort. What flea control do you recommend for my dog and cat? We offer several different flea control products which we prescribe according to your pet's lifestyle and exposure to various parasites. 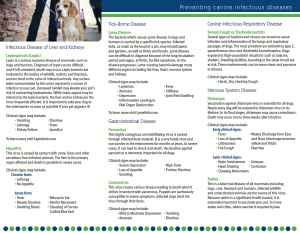 Are there any other preventatives that my pet needs besides flea control? Yes, definitely. Your dogs and cats need to be protected from heartworm disease, which is spread by mosquitoes. The heartworm products we sell conveniently contain intestinal parasite (worm) control as well.